Calling all artist!!! 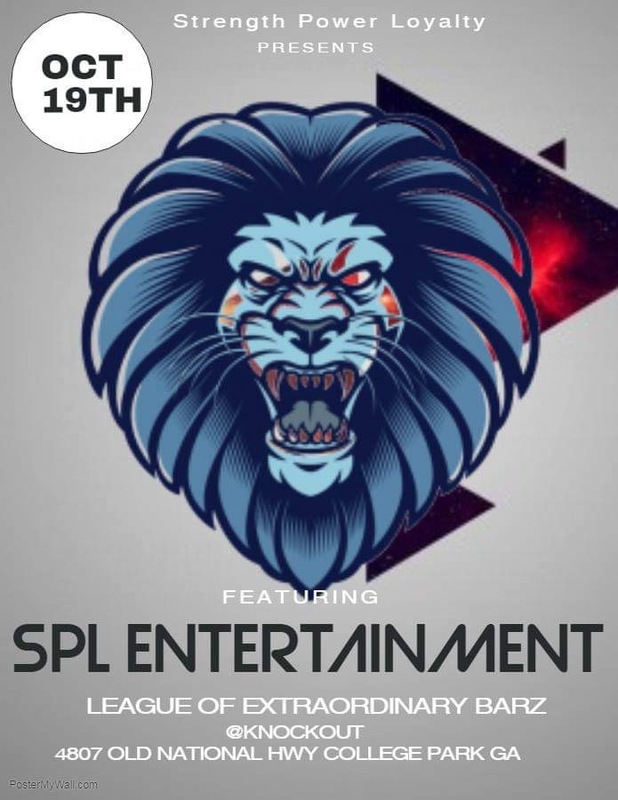 SPL ENT is hosting a Showcase in College park GA, at Knock Outs Bar and Grill Oct18,2019. All styles of music is accepted. Do you have what it takes to win one of the many prizes? We will have a panel of Judges, and on that panel will be Malcom from the Diop agency owned by Amina Diop Senior VP of A&R for Republic Records, along with others. The talent who has the best stage presence, song, and brings a nice crowed, and also rock the crowed, will be chosen as the Victor by the judges. we also will have World Wide Urban Radio in the building doing interviews on spot and other Media Outlets as well. There will be a first second and third place Victor as well as a $200 twerk contest so ladies, we got you as well. For more info and rules please contact SHO OR MIKE at 770-825-1891 or strength.power.loyalty@gmail.com!!! I cant waite to see you there. Oh P.S the best artist also will get a private session with the A&R to discuss your career and maybe more come and find out!!!! !